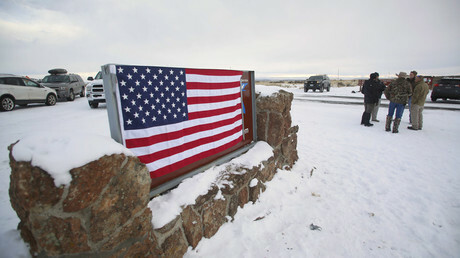 Since January 2, an armed group of ranchers, militia members, and supporters have held the headquarters of the Malheur Wildlife Refuge, land managed by the US Fish and Wildlife Service. The complex includes offices, bunk beds, workshops, and other resources, including federal documents, which the occupying group’s leader, Ammon Bundy, admits to going through. For most of their first 10 days, the group camped in the bunkhouse, debating tactics and giving statements to the press. On January 11, however, they ventured forth and cut an opening in a federal fence to clear access for local ranchers and their cattle. Before coming up with the name Citizens for Constitutional Freedom to allay media inquiries, the activist group was simply an unnamed product of spontaneous support from like-minded people. Ammon and Ryan Bundy – The Bundy brothers are the leaders of the refuge occupation and sons of Cliven Bundy, a Nevada rancher who, in 2014, was defended by armed militia members and supporters against the federal government in a standoff over grazing and land rights. Jon Ritzheimer – a former US Marine from Arizona, Ritzheimer called for an anti-Islam rally in front of a Phoenix mosque that had been attended by two men who attacked a Mohammed cartoon contest in Texas in May. Ritzheimer’s rally drew far fewer than the 3,000 people he had hoped would attend. The New York Daily News reported in November that the FBI had given the heads up to New York law enforcement to keep an eye on him after Ritzheimer made harsh comments about President Obama and Muslims. Ryan Payne – an electrician from Montana, Payne previously served as an Army infantryman in a military intelligence battalion. He was deployed to Iraq two times and left the military in 2006 after earning several medals and the Combat Infantryman Badge. Payne was also involved in the 2014 Bundy standoff. Blaine Cooper – once identified as a Marine on the website This Aint Hell, a week later Cooper clarified he had never spent time in the service. Records show Cooper had enlisted under a Marines program allowing one year before basic training, but he never went. Before Cooper came to be a lookout for the occupation, he voluntarily patrolled the US-Mexican border in Arizona. Brandon Curtiss – While not involved in the occupation, Curtiss was involved with the initial January 2 protest in Burns, Oregon. Curtiss returned this week with armed members of his Pacific Patriots Network, a syndicate of groups from nearby states. Telling reporters they were there to “de-escalate” the situation, they will provide security to those staying inside and outside the federal facility until Saturday morning, when Curtiss plans to negotiate a “peaceful resolution” to the standoff. The group’s demands are dual in nature. One is the release of father and son ranchers Dwight and Steven Hammond from prison. 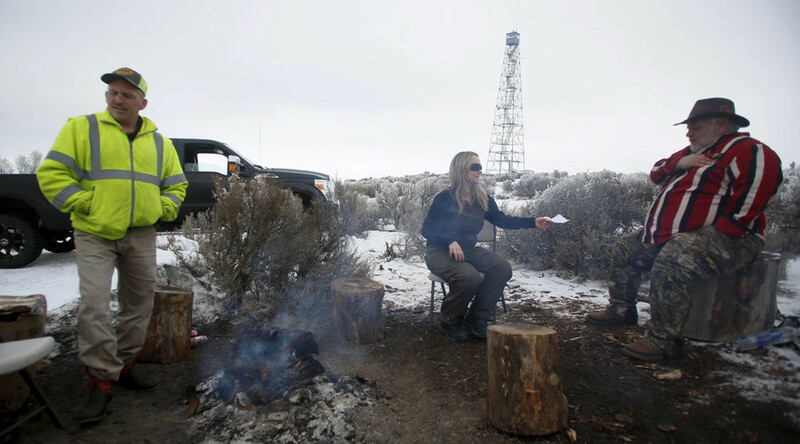 The second is that the Malheur National Forest be handed over to locals in the area. Regarding the second demand, the issue of “returning” the land to anyone is of special controversy to the Paiute tribe of indigenous Americans. “The protesters have no right to this land. It belongs to the native people who live here,” Charlotte Rodrique, chair of the Paiute tribe in Burns, told reporters last week in front of the tribe’s cultural center. The Burns Paiute accused the Bundy-led group of “desecrating one of our sacred sites,” according to the Associated Press. While the second demand pertains to a more general belief that the federal government has unconstitutionally appropriated land for itself, the first demand is one of specific and immediate consequence. The occupation followed a protest held 30 miles away in Burns, where tough sentences were imposed on Dwight Hammond, 73, and his son Steven, 46. Federal prosecutors appealed, however, and this month the Hammonds were forced to return to prison to finish their five years of incarceration. They had been convicted of arson, though in the case of the first fire, the judge said “mother nature’s probably taken care of any injury,” and in the second case, the feds claimed only one acre of public land had been touched. The Hammonds claimed they were clearing juniper and sagebrush to prevent the spread of forest fires from government land. The confrontational history between the Hammonds and the federal government goes back decades, actually, as Ammon Bundy has blogged. Bundy had seen in them the successors to his father Cliven as a cause célèbre for his militia allies to support. The situation also presented another opportunity to raise the issue of federal power over the lives of those who make a living off the land in the West. The Bundys and their fellow occupiers argue they are acting on behalf of the community in Harney County, but local support for the out-of-towners is usually reluctant and never from law enforcement. Sheriff Dave Ward has called on the militia to go home. Judge Steve Grasty has called them “armed thugs” and threatened to fine them $75,000 a day for the costs of closing schools and beefing up police presence. Cliff Bentz, a Republican state representative whose district includes Harney County, has also taken a stand against the occupation. Some locals may not agree with the tactics, but they’re not exactly complaining, either. “Harney County, to a degree, owes [them] a ‘thank you’ for taking a stand that needed to be made,” rancher Cory Shelman said at the town meeting on January 11. Oregon Public Broadcasting’s Anna King traveled the surrounding area and found that most hotels were seeing triple or double their normal occupancy rates for this time of year. Other businesses were benefiting from all the hoopla as well, King reported on a January 13. “Sometimes we might only have one person in the house in the winter months – so this is a Godsend. It’s like having summer all winter long,” Vickie Allen, manager at an America’s Best Value Inn, said.